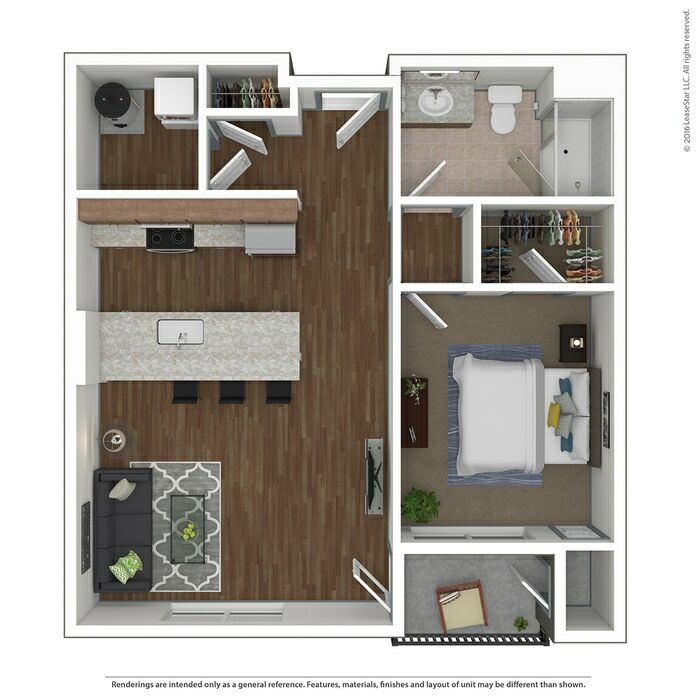 This Studio apartment has an open floorplan and semi-private bedroom space. 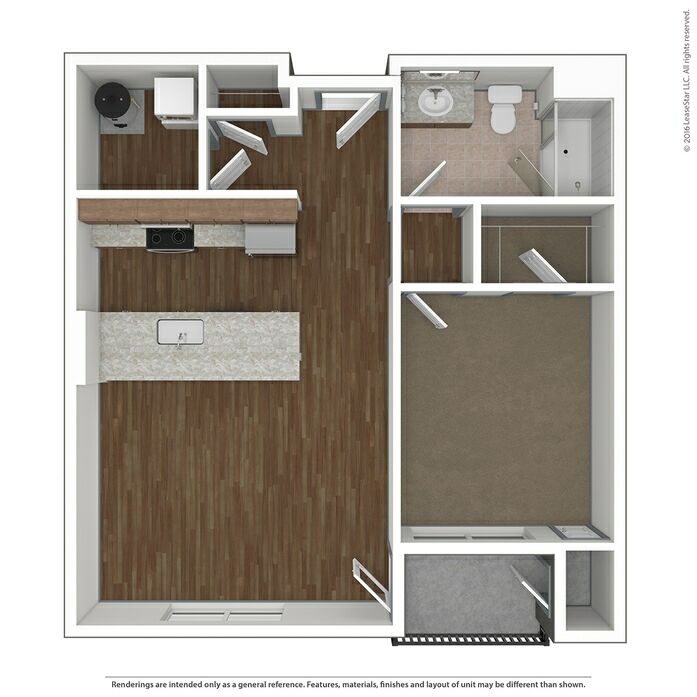 It has an oversized bath, enormous closet space and includes a washer and dryer. 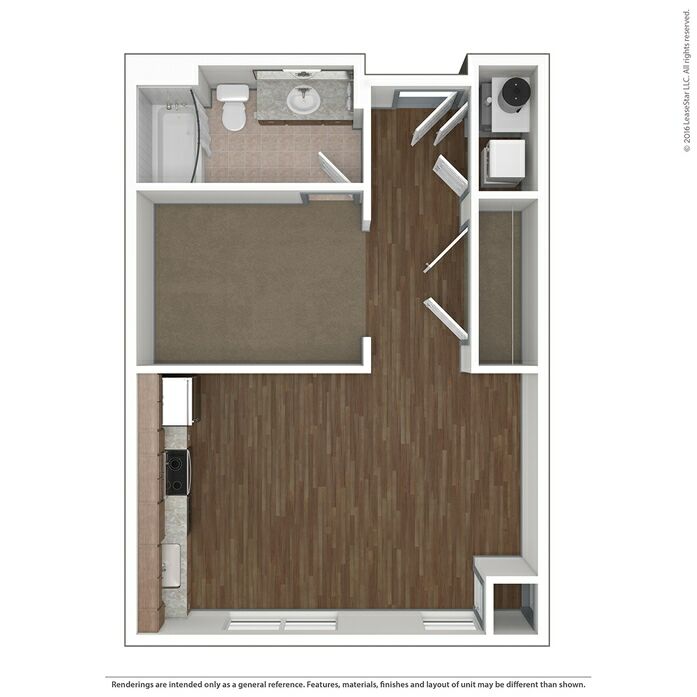 This 1 bedroom apartment has an open concept kitchen and living space with an island for casual dining. 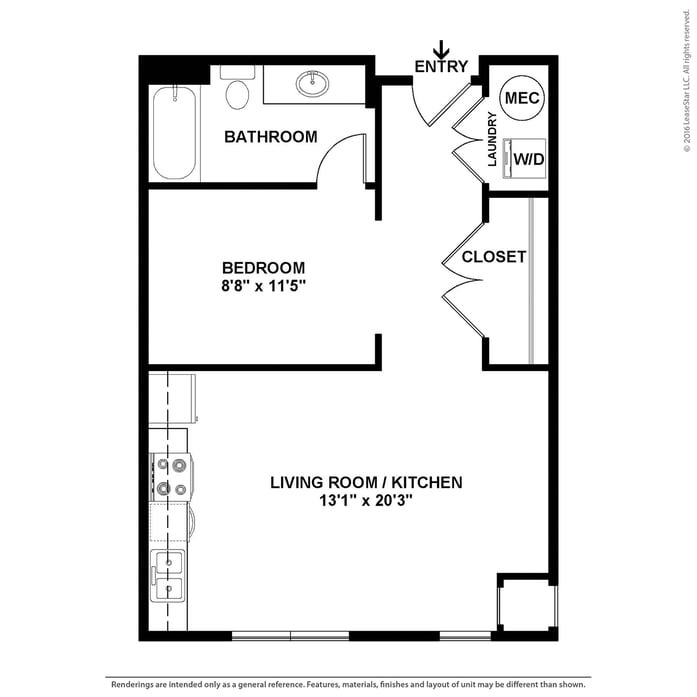 The bedroom has a large walk in closet and windows looking out onto the private balcony. The single bath has an oversized walk in shower. Washer and dryer are included. 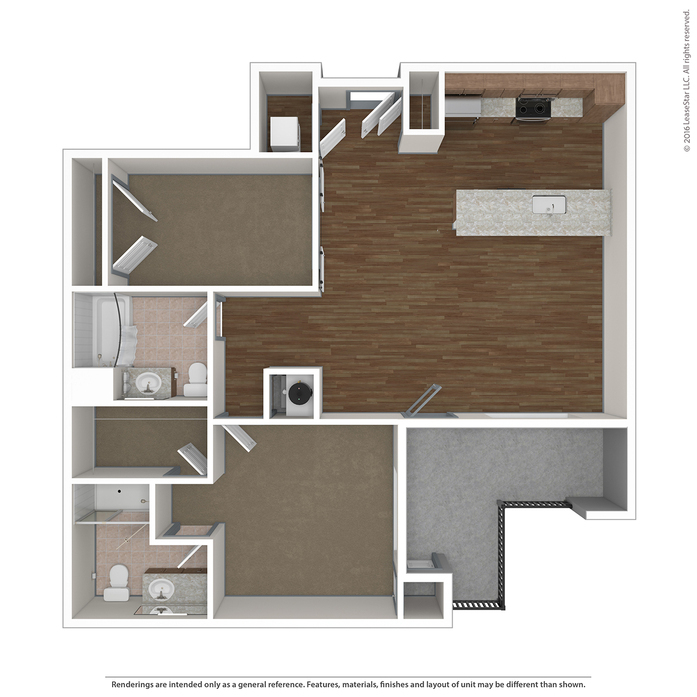 This spacious 1 bedroom, penthouse apartment is only available on the top floor. 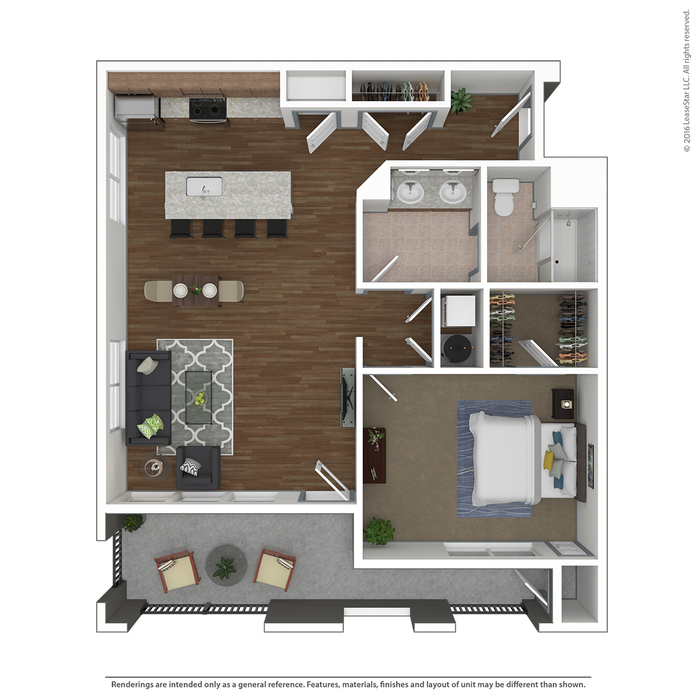 Westward views over the neighborhood can be enjoyed from the double balcony and sunporch that extends the entire front of the apartment. The open concept living and kitchen area boasts a pantry and island for casual dining. 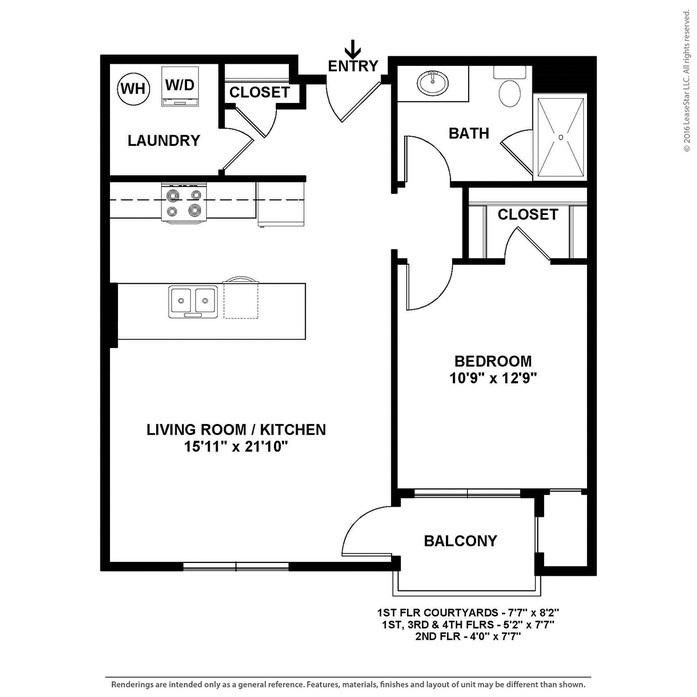 The master suite has a deep walk in closet and windows looking out onto the covered balcony. The oversized bath has a double vanity and large walk in shower. Washer and dryer are included. 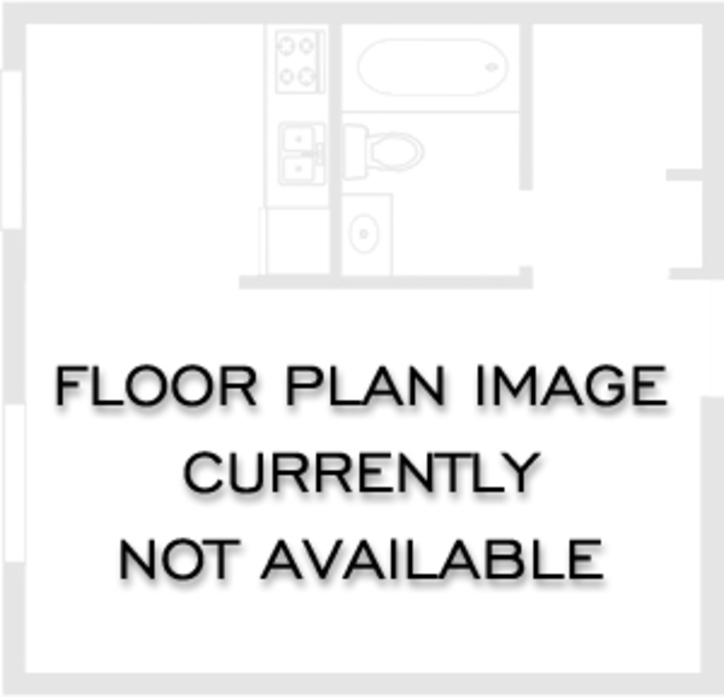 This generous apartment is an interior corner unit that looks onto the courtyards. The open concept living and kitchen area has an island for casual dining. 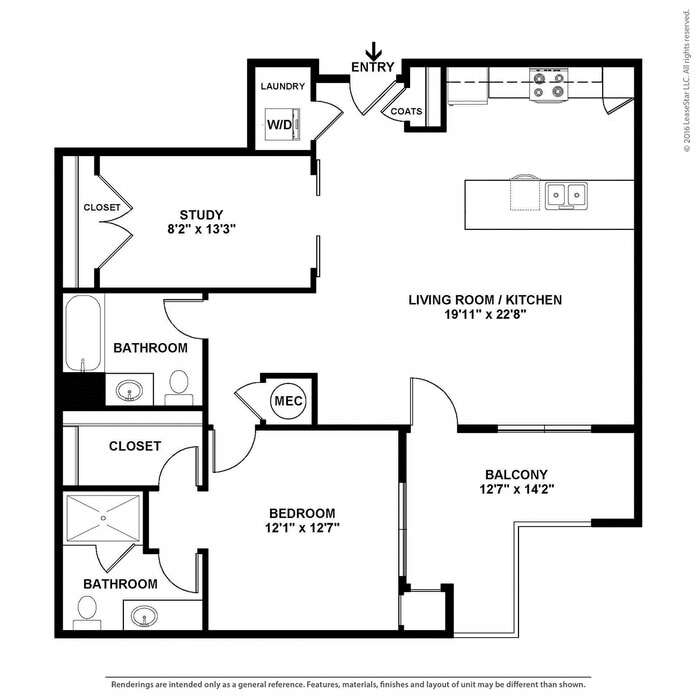 The master suite has a walk in closet, windows onto the private balcony, and attached oversized bath with double vanities and walk in shower. 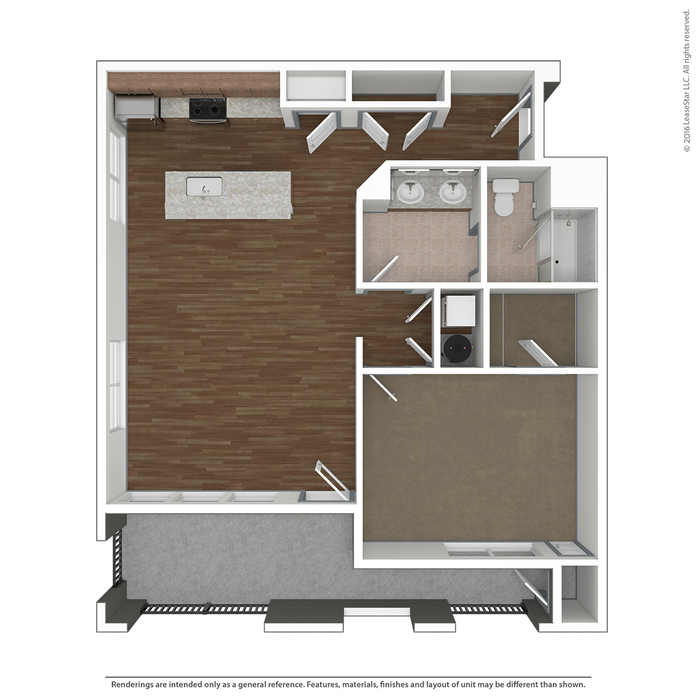 There is an additional full bath adjacent to the den which opens with double doors into the living space. Washer and dryer are included. 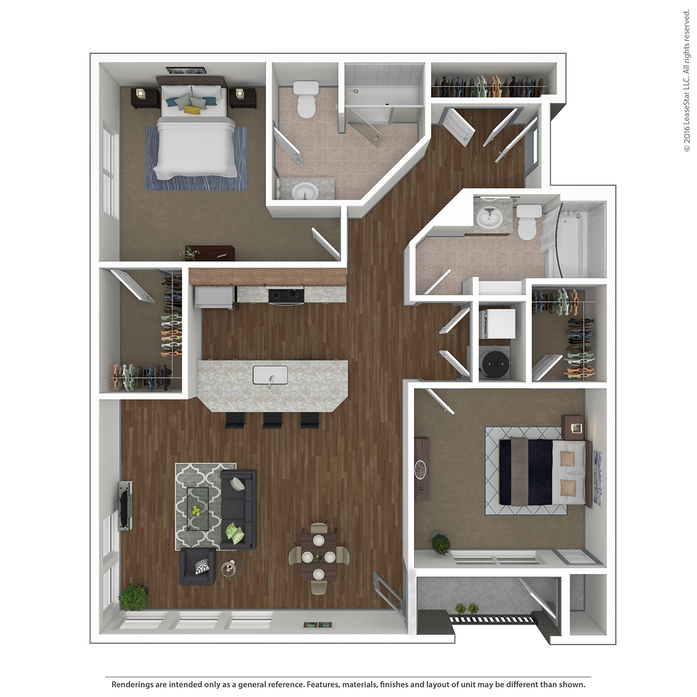 ADA apartment available in this style. 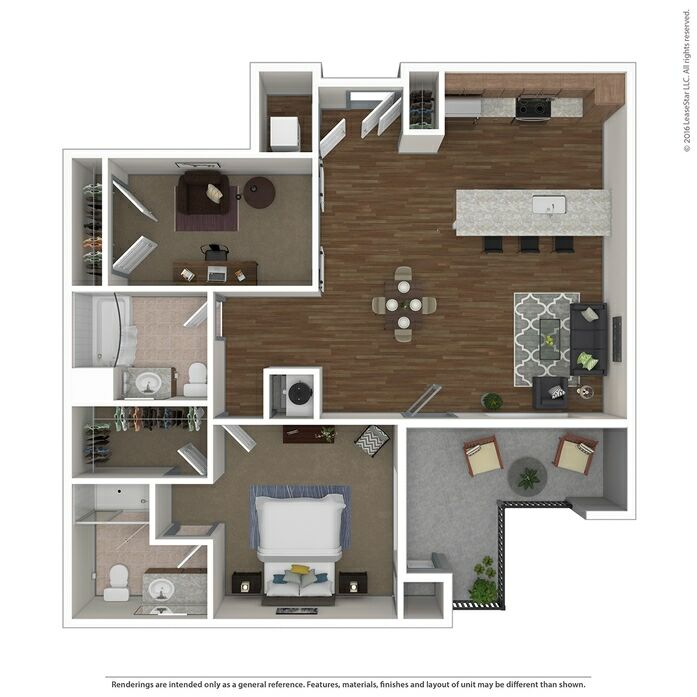 This spacious 2 bedroom, 2 bathroom apartment has an open concept living and kitchen area with an island for casual dining and opens onto the private balcony. 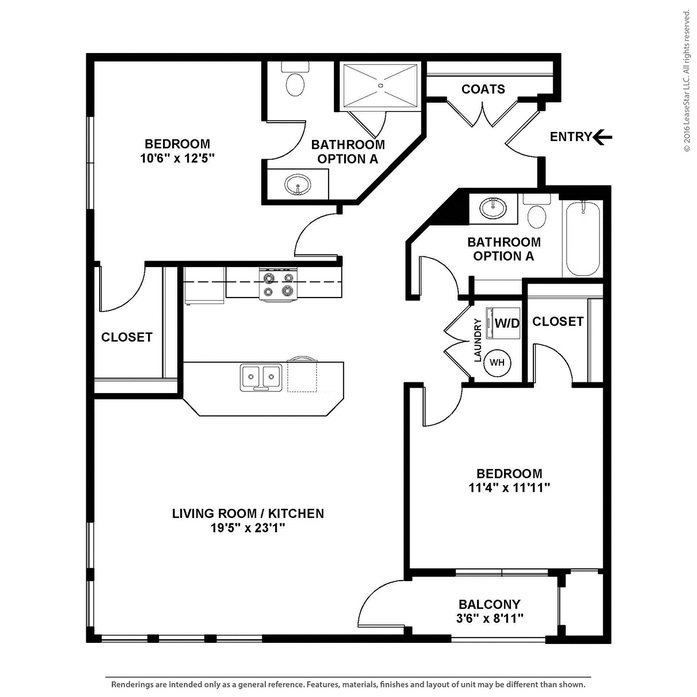 The master suite has a walk in closet and attached oversized bath with double vanities and walk in shower. 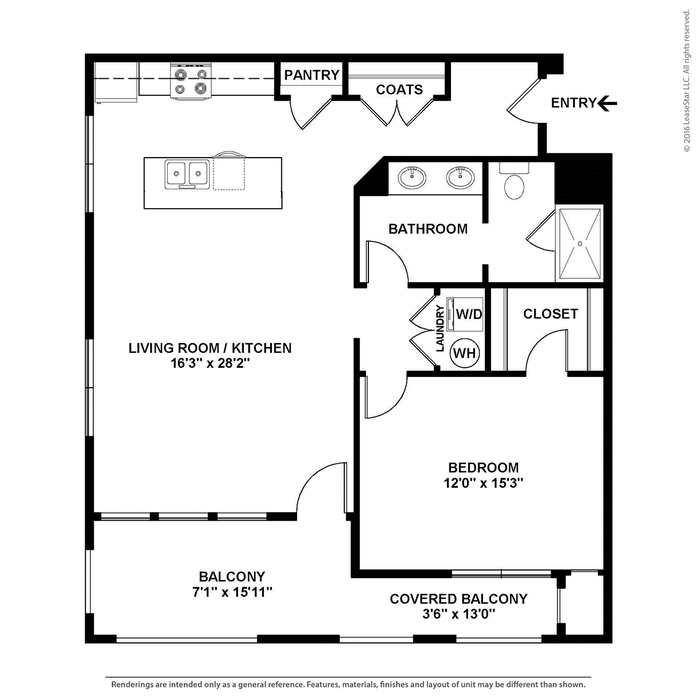 Second, equally sized bedroom has an on suite walk in closet and full bathroom. Washer and dryer are included. 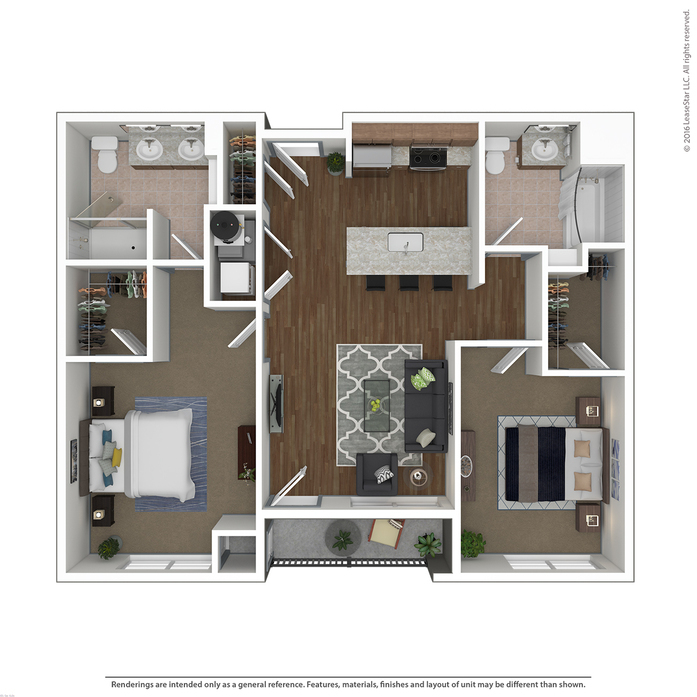 ADA apartment available in this style. 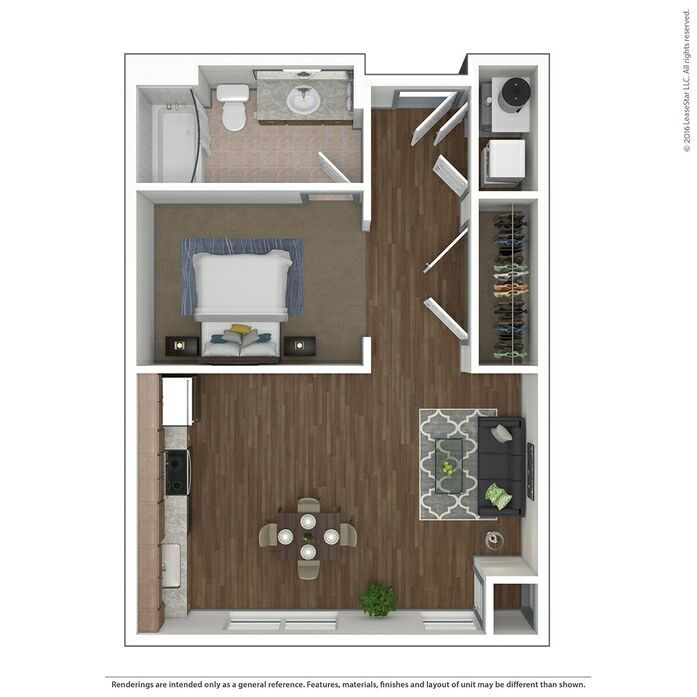 This beautiful 2 bedroom, 2 bath apartment has windows that completely wrap the exterior corner for fabulous westward facing views of the neighborhood. 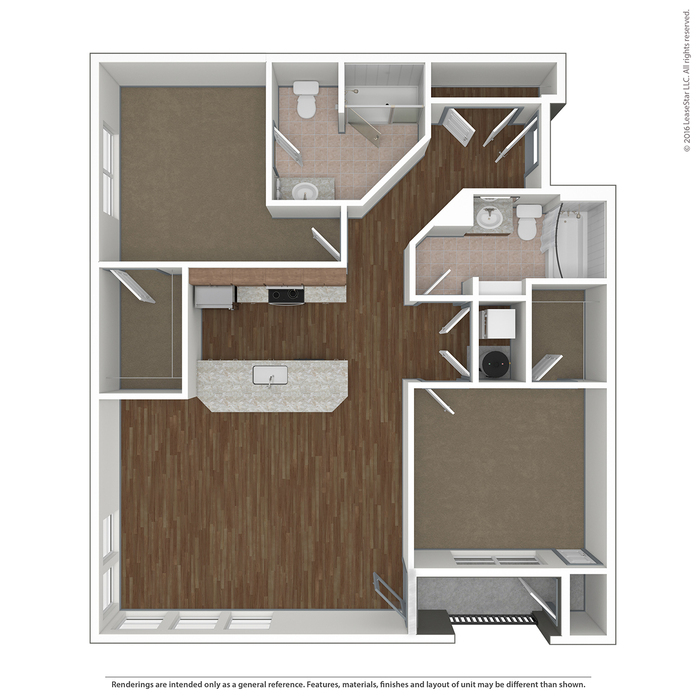 The open concept living and kitchen area has an island for casual dining and opens onto a private balcony. 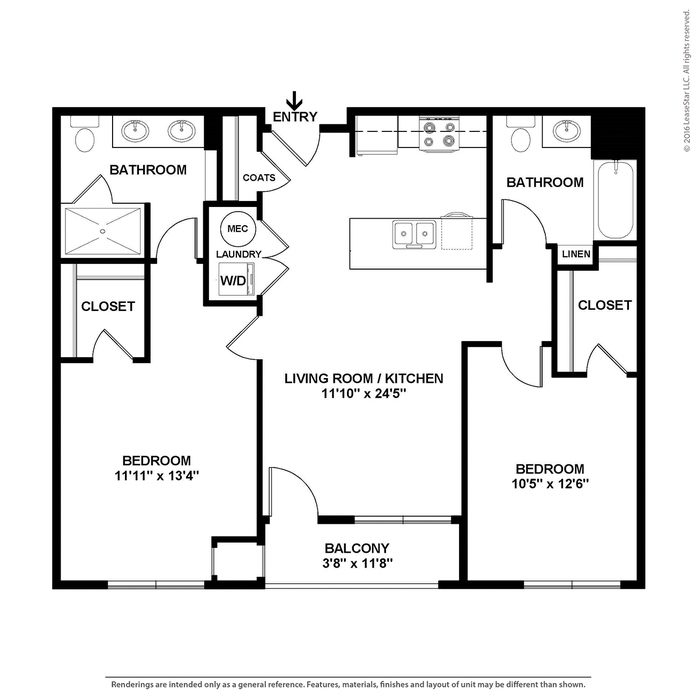 Each of the bedrooms has an on suite full bath and walk in closet. Washer and dryer are included.